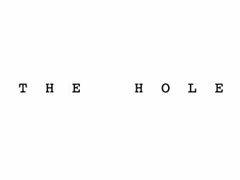 Acting Jobs>Short Film Jobs>Lead Supporting Actress & Ensemble Actress for Short Film "T H E H O L E"
Lead Supporting Actress & Ensemble Actress for Short Film "T H E H O L E"
A story about a man in the military that has a hard time grabbing on to reality. The story begin with the man (Billy) going to a party that one of his fellow comrades is hosting. At the party he runs into a mutual acquaintance from High School (Brittany). Auditions are going to be held in person or over face-time, through out the month of March./ Rehearsals will be held once a week, on the weekends throughout the month of April to maybe early June./ Shooting dates will be TBD after the whole cast is casted, but will most likely be shooting for four days. Two days will be shot on one weekend and the other two days will be shot the following weekend. I am hoping to shoot in Mid May or Early June. Brittany Brown, 21: A college student that is in Alpha Delta Phi, she's a bit of bimbo, clueless, and does not have a very vast vocabulary. Isabelle Sharp, 21: Caucasian and dirty blonde/ brunette hair. Very beautiful, free-flowing sprit, in college, very smart, and a bit of a hippie. Has a red solo cup in her hand talking to Brittany Brown.